This homemade chicken tikka masala recipe could not be any easier. And it tastes just like authentic Indian food that you would get in a restaurant, at a fraction of the price, of course. You can easily make this in the Instant Pot , too, on the Slow Cooker setting or modify it for the pressure cooker. 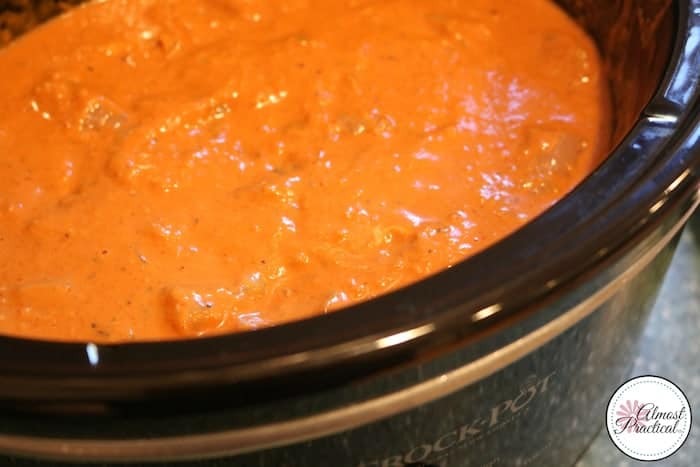 You will need the following spices to make this chicken tikka masala recipe. Even though some are Indian spices, you should be able to find them in your regular grocery store. Chop the onion and garlic together in a food processor. I use the food processor attachment on my very versatile Ninja IQ which I love. You can see that it chops up the onion and garlic just right – not too chunky nor does it turn to mush. Then heat the canola oil in a skillet over medium-ish heat. Sauté the onion and garlic for a few minutes until the onion starts to brown. Add the coconut milk and the tomato paste. Stir until they blend together to make a nice sauce. 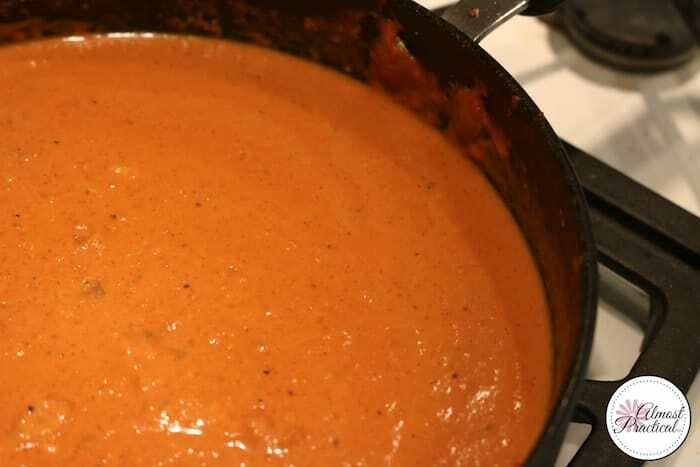 Be careful, as it heats the sauce becomes a bit bubbly and spatters. Turn off the stove and stir in the spices and the salt and pepper. Cut the boneless chicken into bite sized cubes. Pour the sauce that you just made over the raw chicken and stir until all of the pieces are coated well. Then go ahead and serve over a bed of white or brown rice, while it is piping hot. 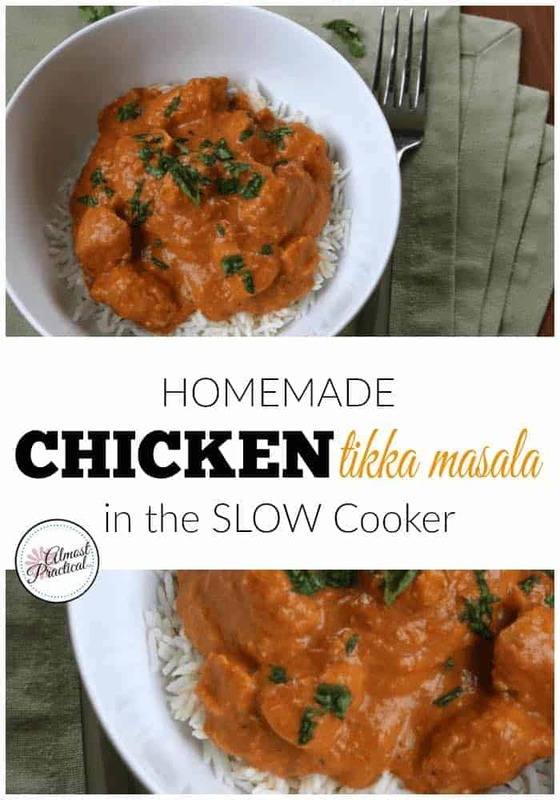 You can also make extra chicken tikka masala because it tastes even better on the second day. See! So simple and so delicious. No more expensive chicken tikka masala for takeout. Your family will be asking for you to make this quite often. 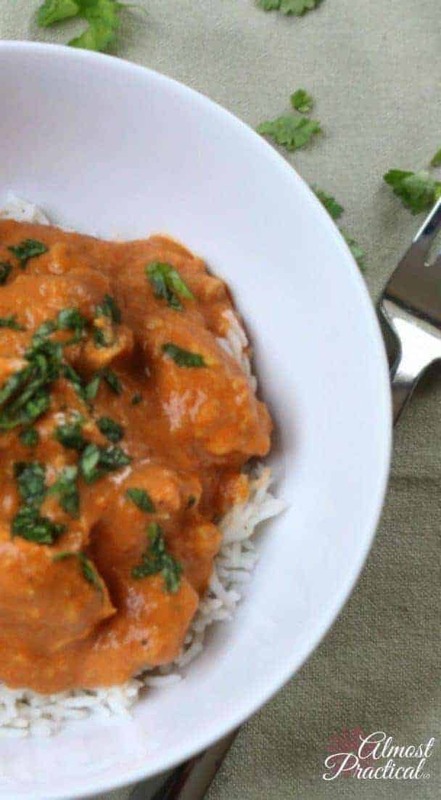 Want the Printable Version of this Chicken Tikka Masala Recipe? Just hit the print button below. Chop the onion and garlic together in a food processor. 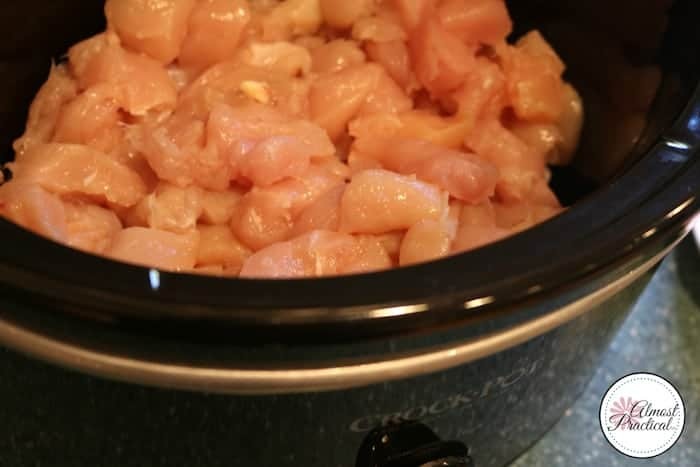 Put the raw chicken into the pot of your slow cooker. I have not posted many recipes on this blog because my food photography skills are less than appetizing – even though the dish tastes great. To fix that, I decided to enroll in the Food Blogger Pro course (you can click here to get on the waiting list – it only opens a few times per year). I am amazed at how much I am learning about food blogging as well as food photography. You can see that I'm not far along enough yet to take a great photo of this dish. But I will post a before and after photo of this chicken tikka masala recipe when I am ready. I think you will be amazed too! I am so excited and honored to be included with a group of amazing cooks in this excellent article on Wayfair.com that features recipes from around the world. It is a really fun piece and will give you lots of ideas on what to make for dinner tonight.